All fertility treatments can be very stressful both physically and emotionally. All Fertility treatment requires a great deal of commitment from a couple; some couples find it difficult to carry on working during a treatment cycle when they may be expected to attend clinics at unsociable hours (there are only specific times in their cycle that drug treatment can start or eggs can be collected). Many women also find the collection of eggs uncomfortable. Above all Fertility treatment is stressful and anxiety provoking both physically and mentally, couples have so much time, emotion and often money invested that stress levels can become extremely high, not to mention the affect upon relationships, the feelings of guilt and blame and the process of making babies becoming very clinical. And by triggering the fight, flight, freeze response where blood is literally redirected towards the bodies’ organs needed for survival, meaning the blood is directed away from the uterus, hindering the procedure rather than helping it. …by removing emotional blocks, addressing feelings of guilt and blame and by teaching couples to work together to keep stress and anxiety to an absolute minimum before, during and after medical treatment. All HypnoFertility treatment programmes are tailored to each couple – however almost all programmes will involve teaching the couple how to work together throughout the medical procedures. When you think about it, it is really common sense that if you can feel calm, be comfortable and work with your partner to enhance the process you will provide a more favourable environment for conception and feel more involved in the process as a couple. When pregnancy occurs without medical intervention, implantation occurs when women are going about the normal daily activities; they may be shopping, sleeping, working etc. 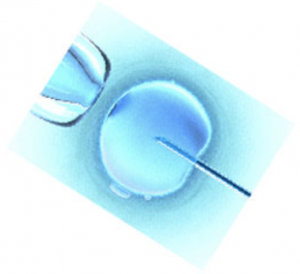 When women have had medical fertility treatments such as IVF, they are acutely aware of what may be happening. With so much hope and emotion invested, it is not surprising that couples become very focused on the process taking place, and high levels of stress and anxiety can be the result – Unfortunately this is the exact opposite of what would happen naturally.